Is The Mid-Range We R Sports 2-in-1 Elliptical Cross Trainer and Exercise Bike Able To Offer A Good Enough Workout For The Cost? 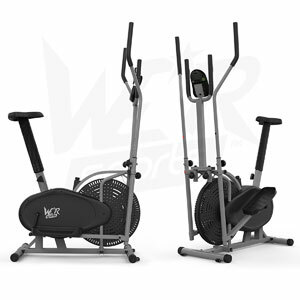 The We R Sports 2-in-1 Elliptical Cross Trainer and Exercise Bike is a good looking model for those building up a home gym for two reasons. First of all, the design and simple shape is reminiscent of some familiar gym-models that many user will be used to. Then there is the fact that this design, and all the component parts and systems, are available for a pretty low price. This 2-in-1 bike and cross trainer promises a great movement and diverse workout without damaging the bank balance too much. 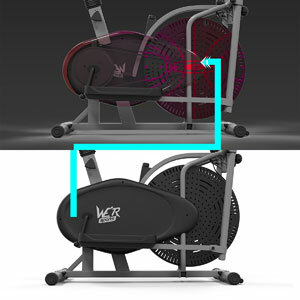 Are users able to get the workout that they need from this machine, or could it do more? 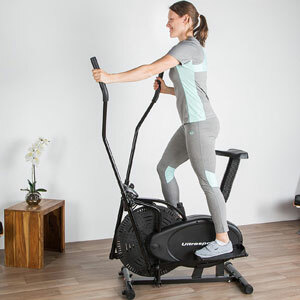 What benefits have users mentioned in their online reviews for this We R Sports 2-in-1 Elliptical Trainer ? There are plenty of positive reviews for this cross trainer bike that talk about the workout that can be achieved with this cardio machine. There are 8 levels of manual resistance here, so users can increase the intensity as needed to build on their progress in their new home gym. The motions and increments are good enough for novice users, without getting too intense, and there is a nice feel for low impact movement for the joints. This means that this works as a recovery device as well as for general session. It should be noted, however, that this is for users with a weight limit of no more than 100kg, so it may not be the best starting point for all users. All of the data for these workouts is visible on the small console by the handlebars. This offers data on time, distance, span, calories burned and even pulse. The latter is achieved through the sensors in the hand grips on the handlebars. 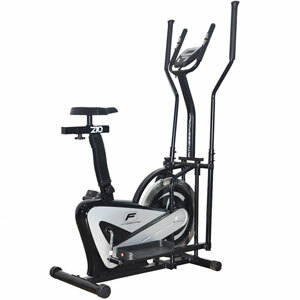 What problems have users highlighted when talking about this We R Sports Cross Trainer Bike online? The main problem with this cross trainer machine is that it can easily be described as a budget item. This means that there are plenty of people that are happy enough with the performance and design, with nothing to complain about but nothing to rave about either. Then there are those that say it works fine, but the short cuts in the design show up too easily with the noise produced and the wobbles to the fixtures. There are the odd reports of pedals coming lose and users not wanting to use the machine too early in the morning in case they annoy their neighbours. Summary: how does all of this feedback affect a final recommendation for this We R Sports Cross Trainer ? There are some clear drawbacks here in terms of quality control and security, and this may put off some fitness fanatics in need of the perfect package, or larger users. In fact, some do wish they had gone up the price scale slightly for a higher quality. Still, this does offer a good work and range of features for an elliptical at the middle of the range. 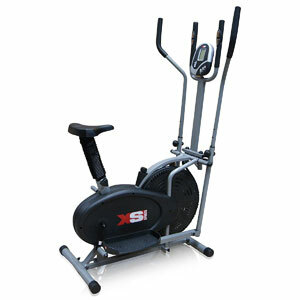 This We R Sports cross trainer bike is a great choice for those that want a more substantial elliptical machine for the home gym, without paying too much for something with all the bells and whistles. Find out what other people are saying about the We R Sports 2-in-1 Elliptical Cross Trainer and Exercise Bike on Amazon here.